Two years ago we had our first anonymous order of Xtreme Clean from overseas. Since that time I have had a few overseas orders, mostly from people who had used Xtreme Clean before. (After all it is New Zealand’s best Citrus Based Cleaner and once you’ve used it, you won’t go back to anything else). This time I had an order from Ohio from someone who had found our webpage and had a very specific problem, they needed to clean up fly spots and flyspots are something Xtreme Clean is brilliant at getting rid of. I was able to send an invoice directly payable with our secure online credit card portal, and ship it off. 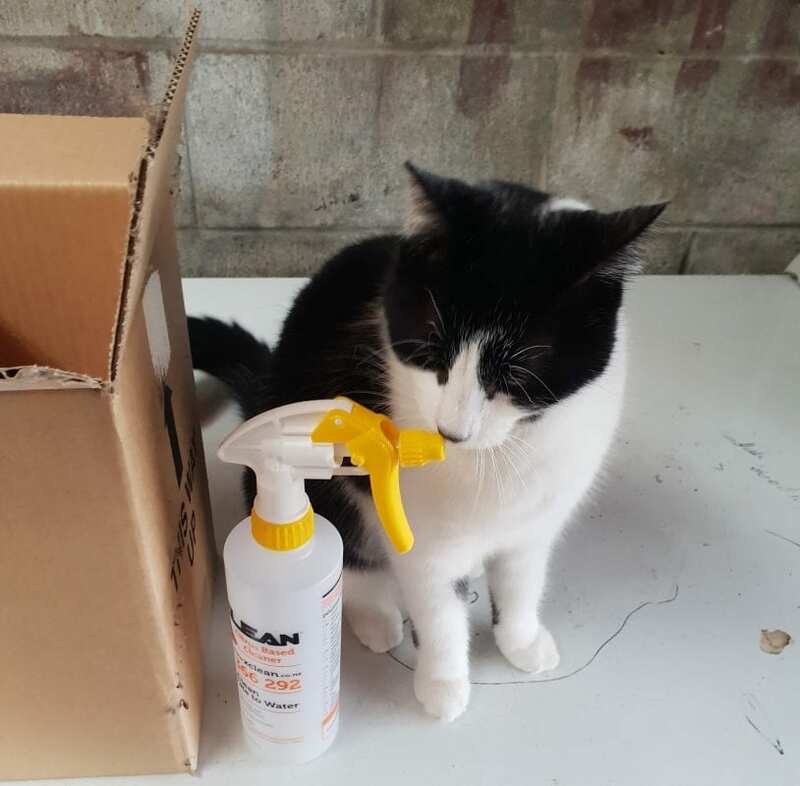 The whole team go in on the act, you can see the friendly cat even wanted to say goodbye to the trigger sprayer bottles before they were sent. This entry was posted in Xtreme Clean and tagged overseas.